a British Duty Bugle pitched in B Flat. On board the RMS Titanic was Percy William Fletcher of Southampton. 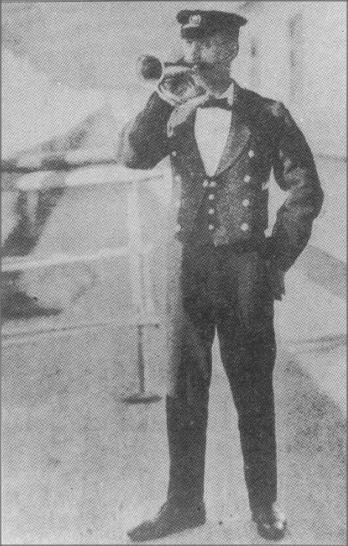 Fletcher was the ship’s Bugler. He would announce meals and any events that were happening on the ship. Mr Percy William Fletcher was born in St George’s, London, England on 3 February 1887. He was youngest of five children born to Adam Fletcher (b. 1849), a domestic coachman, and Fanny Randal Middleton (b. 1853), natives of Lincolnshire and Devon respectively who had married in 1874. Percy’s siblings were: George (b. 1874), Alice Rose (b. 1877), Evelyn Maud (b. 1883) and Arthur Henry (b. 1884). Following his parents’ marriage they settled in Guernsey in St Peter’s Port where their first two children were born before they returned to England sometime prior to 1881, initially settling in Frimley, Surrey before relocating to St George’s, London. When a four-year-old Percy appears on the 1891 census he and his family are living at 10 Bourdon Buildings, St George’s. By the time of the 1901 census Percy is aged 14 and living at 52 Wharncliffe Gardens, Marylebone, London; with his father having passed away in 1898, Percy had already left education and was earning a living as an enamel and metal worker. Following his father’s death he had been enrolled at St Mark’s School in Westminster in September 1898. When Percy went to sea is not certain but he would be absent from the 1911 census when his widowed mother and his siblings are residing at 26 Lessingham Avenue in Tooting, west London. Fletcher was married to Mary Meaney in Wandsworth, London in early 1912. He had transferred from the Olympic, Titanic’s sister ship and initially signed-on to the Titanic in Belfast on 1 April1912. After arrival at Southampton on 4 April he signed on again. In the articles of agreement he gave his address as 26 Liscombe Avenue, Upper Sholing, (Southampton). He was paid the same as steward (£3 15s per month) but actually worked as the ship’s Bugler. He had transferred from the Olympic and gave his address as 26 Liscombe Avenue. 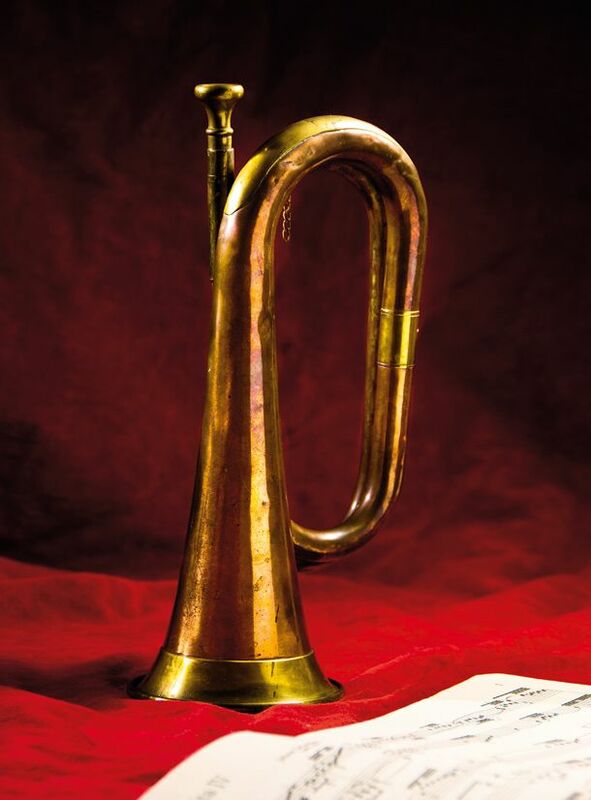 Bugle calls were an important feature on ships in the era before public address systems. 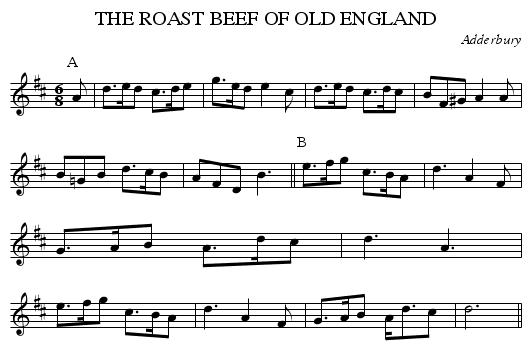 Dinners on ships were announced by bells but the White Star line introduced a new method: a smartly uniformed bugler who would call passengers to their meals playing the tune, â€œThe Roast Beef of Old England.â€ (see below). The tune is impossible to play on a valveless horn but certainly a bugle version of it was substituted. 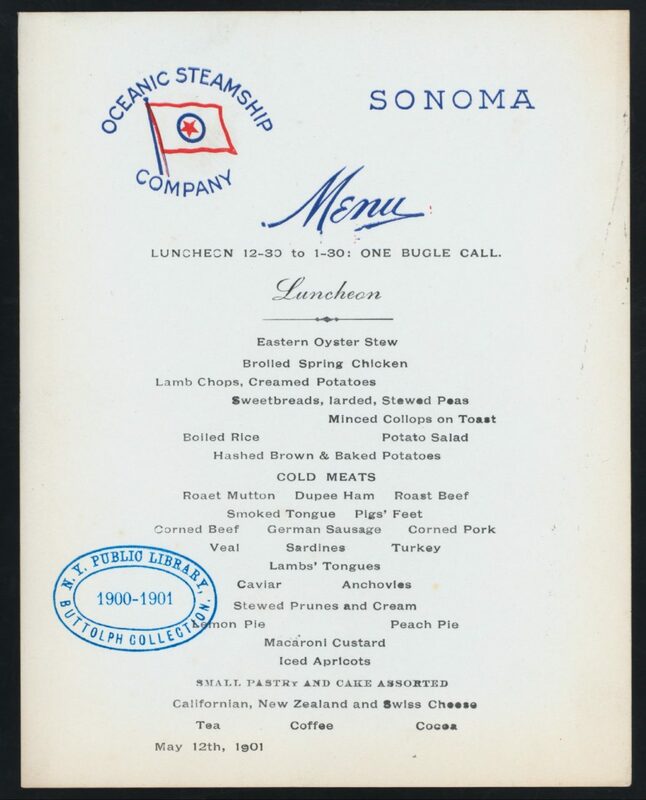 Bugle calls were sounded on ships in first class for all meals, and a dress call a half hour before dinner. The first call, usually at 8 A. M., is the usual signal for rising. Calls in second class are by means of a gong, and in third class, a bell. Bugle calls are sounded on company ships in first class for all meals, and a dress call a half hour before dinner. The first call, usually at 8 A. M., is the usual signal for rising. Calls in second class are by means of a gong, and in third class, a bell. Note from this menu of the period that a bugle call would be sounded for lunch. The White Star Line had bugles made especially for them. They were copper instruments with brass fittings, stamped with trademarks and makers name engraved R.J. Ward & sons, 10 St. Anne St, Liverpool, 57065 with the brass bell engraved WHITE STAR LINE, with loop attachment to rear. It is interesting to note that chimes eventually replaced the bugle. 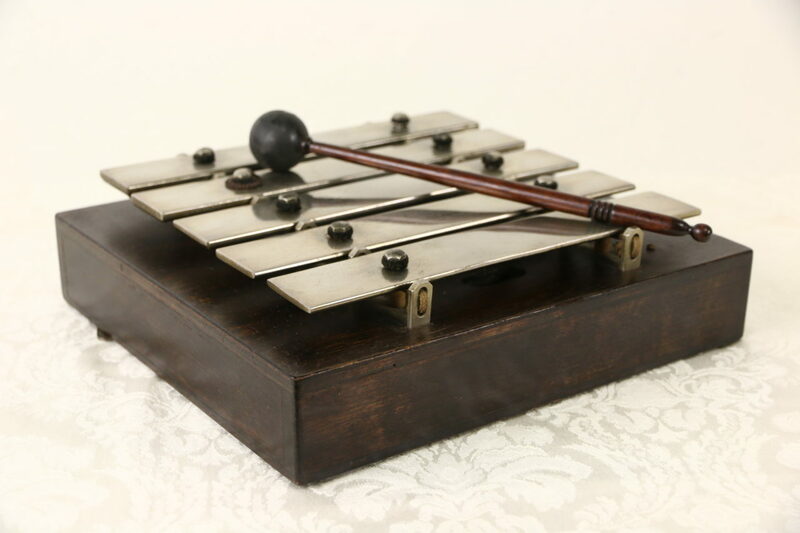 Dinner chimes consisting of four to five notes (based on the bugle or overtone scale) replaced the bugle on ships and were used on railroad cars and hotels to announce meals. From a promotional film about the RMS Olympic. As for Percy Fletcher, he died in the sinking. His body if recovered, was never identified. This entry was posted on Wednesday, April 11th, 2018 at 2:44 pm	and is filed under General Interest, History of Taps, History of the Bugle. You can follow any responses to this entry through the RSS 2.0 feed. You can leave a response, or trackback from your own site.